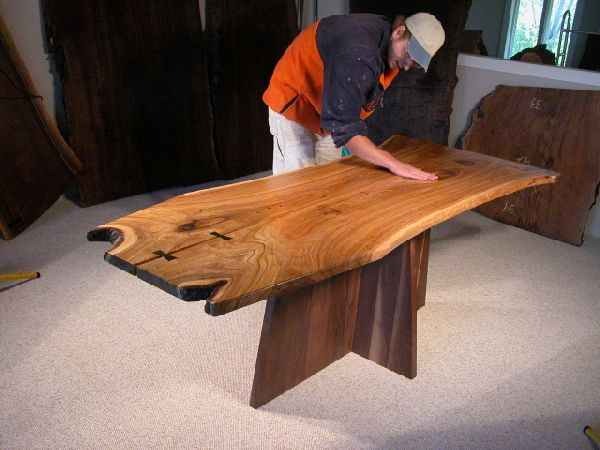 The “Lind” bookmatched walnut slab table base. that is shown in the photo to the left. black walnut pedestal custom table base. Pennsylvania cherry bookmatched slab table. 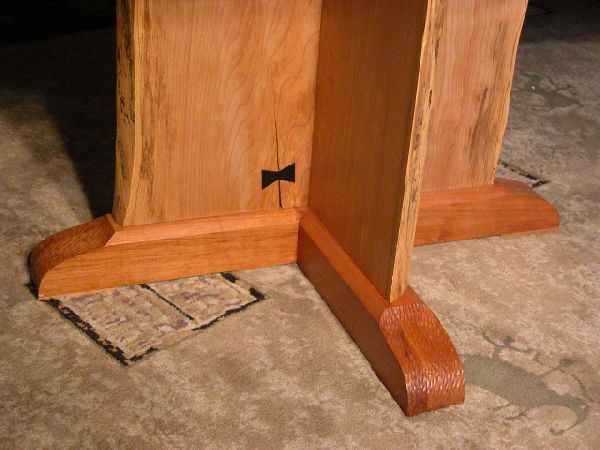 table base with inlaid ebony butterfly. At Dumond’s Custom Furniture, we build everything by hand. From the table tops to the tablebases themselves, everything is hand worked to perfection. No two tablebases are the same and each has its own unique character, shape, and dimensions. If you find a tablebase that you like, we might have it in our warehouse available for purchase. If it is still available, then it could be shipped to your doorstep within a few weeks. If the piece of furniture you like has already been sold, we can custom build a similar piece just for you and have it shipped to your doorstep within eight weeks. 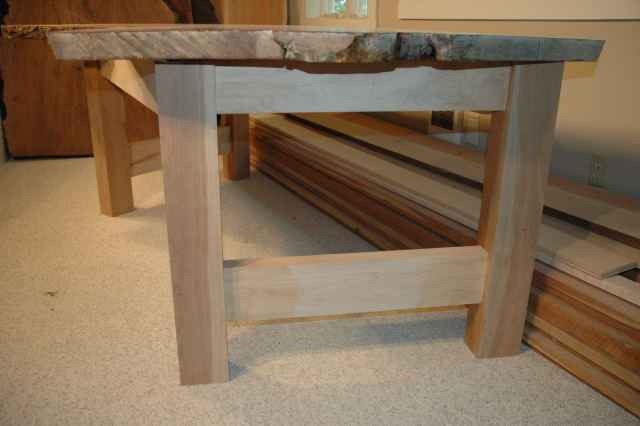 If you’re looking for a custom built tablebase to fit your home or cabin, we can help you out! Let’s say you already have an idea in mind of a custom table base that you would like to have. You can submit your idea to us via our Request A Quote Form or call us directly at (406) 777-3772. Just describe the type of tablebase you’re looking for, the size, shape, wood type, and any examples that you might have and we can give you a custom quote. From there, it takes a few weeks to build the tablebase itself by hand but once it’s complete, it will be shipped to your doorstep within a few weeks.